Kerala PSC UP School Assistant (UPSA) / LP school Assistant (LPSA) Rak list 2018 category number 386/2014, 387/2014 will be published soon. The psc up school assistant Rank list 2018, psc lp school assistant Rank list 2018 in district wise will be available in Kerala psc web site www.keralapsc.gov.in. The KPSC has conducted the LP and UP Assistant Exam in all the district Thiruvananthapuram, Kollam, Pathanamthitta, Alappuzha, Kottayam, Idukki, Ernakulam, Thrissur, Palakkad, Malappuram, Kozhikode, Wayanad, Kannur, Kasaragod. Kerala public service commission has conducted the PSC Exam for School Assistant (Category No: 385/2014 , 386/2014, 387/2014 ) in all the districts of Kerala. 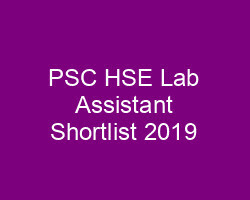 The candidates who have written the PSC UP School Assistant (UPSA) Exam and PSC LP School Assistant (LPSA) Exam can check their PSC result and download the Rank list. 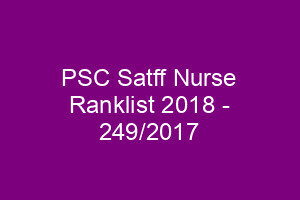 PSC UP School assistant Rank list Thiruvananthapuram [ Download upsa Rank list] , PSC UP School assistant Rank list Kollam [Download upsa Rank list], PSC UP School assistant Rank list Pathanamthitta [Download upsa Rank list pathanamthitta], PSC UP School assistant Rank list Alappuzha [Download upsa Rank list Alappuzha], PSC UP School assistant Rank list Kottayam [Download upsa Rank list Kottayam], PSC UP School assistant Rank list Idukki, PSC UP School assistant Rank list Ernakulam, PSC UP School assistant Rank list Thrissur, PSC UP School assistant Rank list Palakkad [Download upsa Rank list Palakkad], PSC UP School assistant Rank list Malappuram [Download upsa Rank list Malappuram], PSC UP School assistant Rank list Kozhikode, PSC UP School assistant Rank list Wayanad[Download upsa Rank list], PSC UP School assistant Rank list Kannur [Download upsa Rank list Kannur], PSC UP School assistant Rank list Kasaragod. 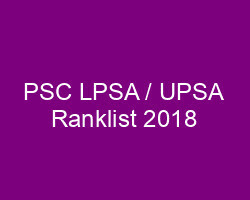 PSC lp school assistant Rank list Thiruvananthapuram [lpsa Ranklist TVM], PSC lp school assistant Rank list Kollam [lpsa Ranklist Kollam], PSC lp school assistant Rank list Pathanamthitta [lpsa Ranklist pathanamthitta], PSC lp school assistant Rank list Alappuzha [Download lpsa ranklist alappuzha], PSC lp school assistant Rank list Kottayam [lpsa Ranklist Kottayam], PSC lp school assistant Rank list Idukki [Download lpsa Ranklist Idukki], PSC lp school assistant Rank list Ernakulam [Download lpsa Ranklist Ernakulam], PSC lp school assistant Rank list Thrissur [Download lpsa Ranklist Thrissur], PSC lp school assistant Rank list Palakkad [Download lpsa Ranklist Palakkad], PSC lp school assistant Rank list Malappuram [Download lpsa Ranklist malappuram], PSC lp school assistant Rank list Kozhikode [Download lpsa ranklist Kozhikode], PSC lp school assistant Rank list Wayanad [Download lpsa Ranklist Wayanad], PSC lp school assistant Rank list Kannur [lpsa Ranklist kannur], PSC lp school assistant Rank list Kasaragod [lpsa Ranklist kasargod].